Researching Houston’s best trails for this month’s guide, we found ourselves doing laps around Buffalo Bend Nature Park near the Port of Houston Turning Basin in east Houston, wondering when the trail, located along 10 miles of wetlands, would connect to Hidalgo Park just to the east. Then we hopped over to Tony Marron Park a few miles west, toward downtown, where there's a half mile of waterfront trail and, across from the park, inspirational artwork by UH students, plus shipping-container storage for kayaks. When exactly would Hidalgo connect to Marron, and Marron to 59, downtown, and, ultimately, Buffalo Bayou Park? 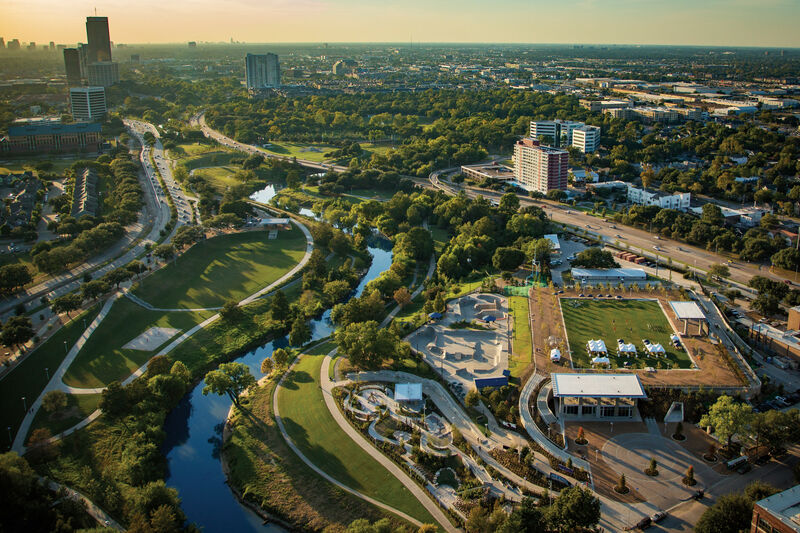 We reached out to Anne Olson, president of the Buffalo Bayou Partnership, the nonprofit that brought Houston the hugely popular Buffalo Bayou Park renovation, completed in 2015. Turns out, the organization is close to finalizing plans for developing the bayou’s East Sector, which runs from 59 to the Turning Basin. 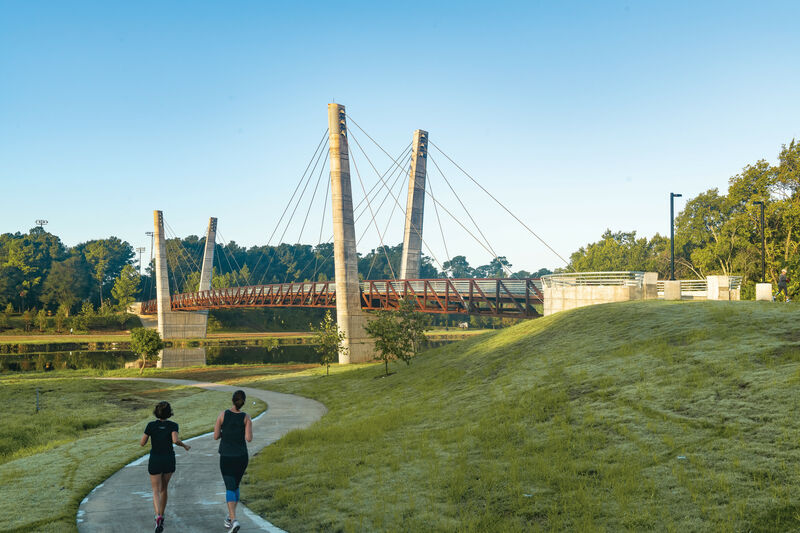 It's all part of its 20-to-30-year master plan to turn the 10 miles of Buffalo Bayou running from Shepherd through that sector into the city’s favorite outdoor amenity (psst, the plan is working). The trails along this portion of Buffalo Bayou are not going to be part of the Bayou Greenways 2020 initiative—that’s the Houston Parks Board’s project—but their own vital artery. 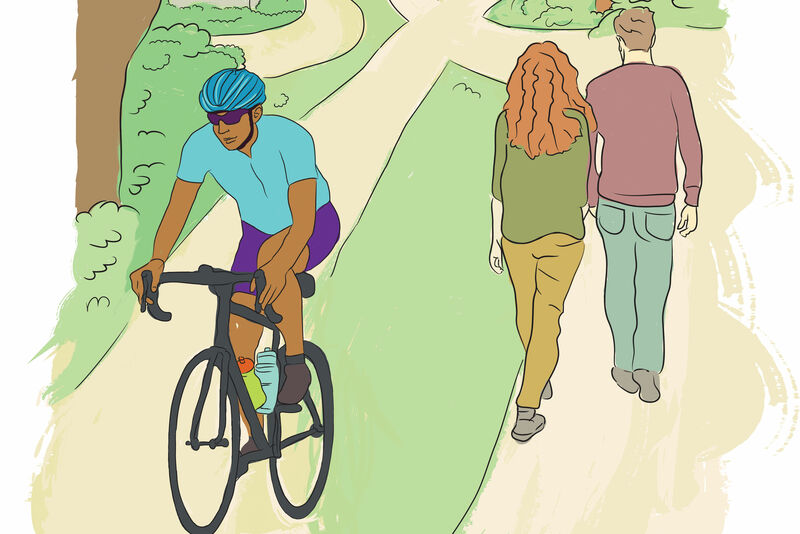 Along with bringing recreational greenspace to the Greater East End and Fifth Ward neighborhoods, which have been cut off from the waterway and from each other for far too long, the East Sector will make for the greatest bike ride ever. We simply cannot wait. While no hard date is set for completion—according to Olson, that depends on easements from property owners who operate industrially along the waterway in places—progress has been made. Here’s the latest. “We’re working on a trail downtown as we speak, to get us to 59,” says Olson. Miraculously, this portion wasn’t delayed by Harvey, and by 2020 it will extend on the south side of the bayou all the way to Lockwood Drive, which crosses through the middle of the East Sector. Further east, the $750,000 in funding needed to construct the trail between Buffalo Bend and Hidalgo Park is now in place, and 23 acres of green-space between those parks have been acquired. Meanwhile, the brains behind the revitalizations of Brooklyn Bridge Park and Manhattan’s The High Line have been hired to consult, so that the East Sector maintains its authenticity and character. 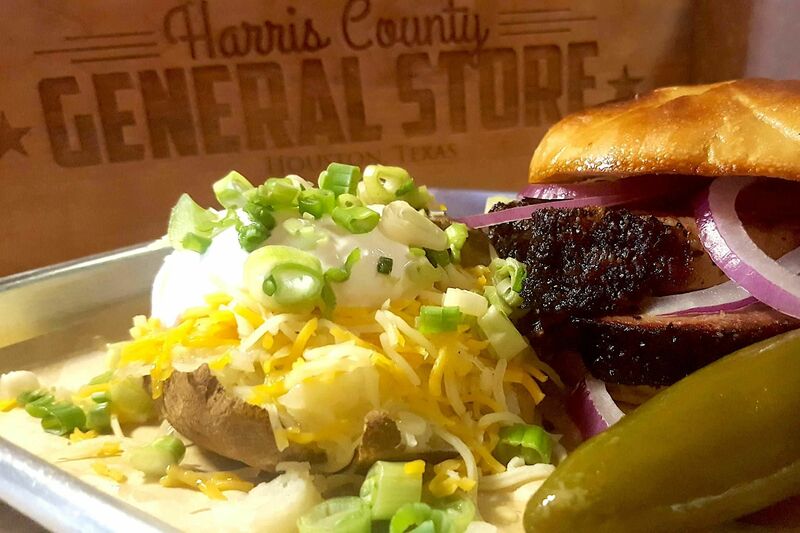 Houston’s going to get nearly 400 acres of new and improved parks. An expanded Marron Park will be the East Sector’s centerpiece; a larger Japhet Creek Park, north of the bayou and west of Lockwood, will connect to the water; and, per community request, there will be lots of shade. “Shade is something we can do,” says Olson. Four pedestrian bridges will link the north and south sides of the bayou, including one at the site that local developers Midway are calling East River and planning to turn into a mixed-use space, and one at Hidalgo Park, which will be key to neighborhood access. BBP itself owns several industrial sites in the East Sector, and, “instead of tearing them down,” Olson says, “we want to reuse them.” This includes a a 50,000-square-foot warehouse on Navigation that should become an event space, although plans aren't finalized. “Programming will be key to getting people to the bayou,” she adds. We also can expect lots of waterway activity—water taxis, boat launches, kayak rentals, and public access to a boat house on York Street in EaDo, where Rice University’s crew team already practices. A contiguous park à la Buffalo Bayou Park. “At Lockwood the bayou gets very industrial, so we may have to rely on the street to the north side,” says Olson. Instead, the East Sector greenway will be a combination of bayou and on-street trail. Nor should we expect a dog park, as many area neighborhoods have a stray dog problem, and residents weren’t enthused.